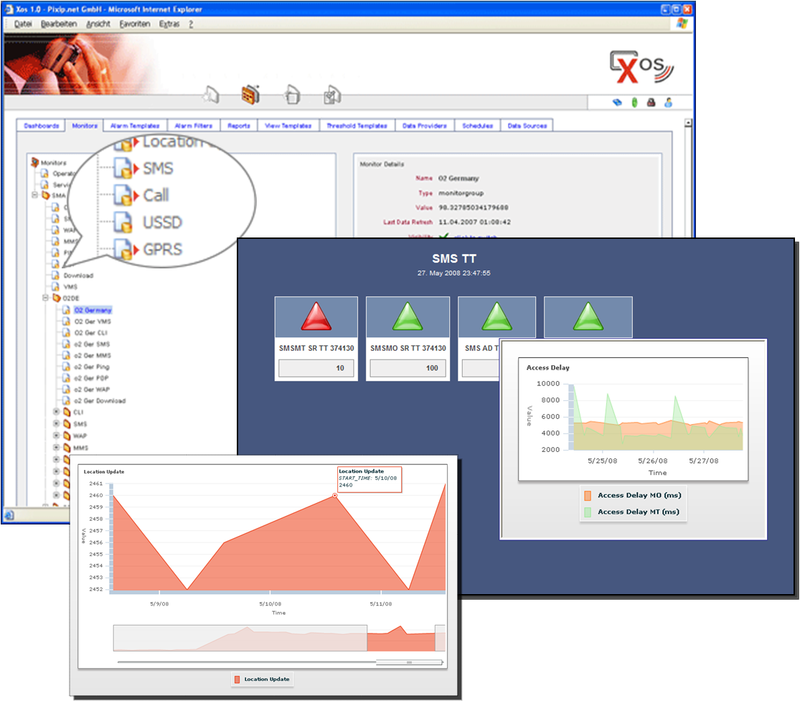 XOS is a web-based, near Real-Time KPI monitoring system, capable of covering all aspects available in a global monitoring system from data collection through to alarming, including data analysis, troubleshooting, and ticketing. 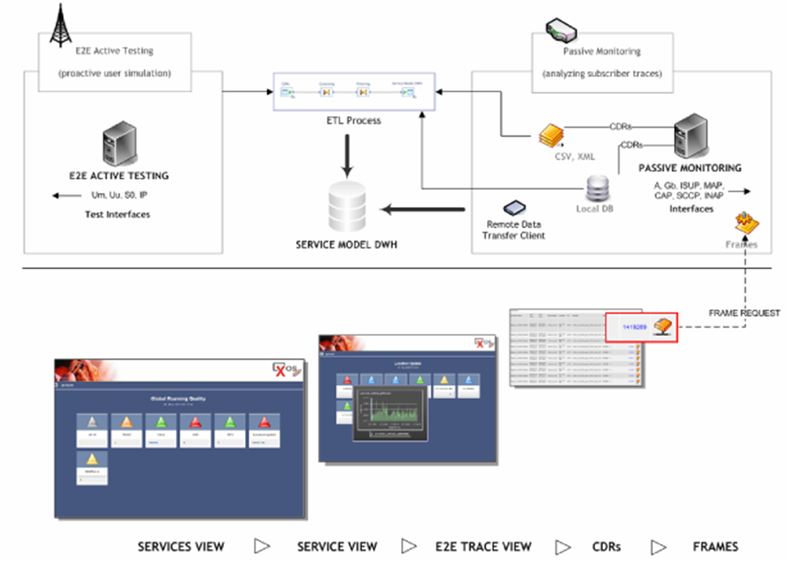 XOS covers a wide range of real-time monitoring requirements including SLA management features. Data Collector is responsible for getting data from different data sources using several types of data exchange technologies. Data Connectors determine »Where« the data comes from, simplifying the import process, hiding the complexities of working with so many diverse data sources. XOS includes a wide range of out of the box connectors, simplifying the process of getting data quickly into XOS. Data collectors for the typical data sources including database, file system, FTP, JMS, SNMP, and Mail are all supported. Data Providers as part of Data Collector, determine »What« data is actually imported, »When« the data should be imported as well as the internal »Structure« of the imported data. XOS supports a two-stage filtering process. The first phase coarsely filters out unwanted data. For example, removing all debug output from a log file or selectively extracting a particular data set from a database. The second stage, known as pipelining, filters out data, which is not relevant for a particular analysis process. Standardizing the data, transforming it into some common, understandable, internal format, is supported by XOS. Data from multiple data sources can be handled as though it originated from a single data source. Some data sources are event based, generating alerts when an error occurs. Other data sources are passive, logging all events for example to log files or database tables. Whether, the data is pushed through external triggers, or pulled, using a schedule or periodic interval. Xos supports both types. Alarms are used for notifying stakeholders of problems. As a result of identifying a problem, an alarm can be raised by XOS. The alarm can take many forms including the sending of an SMS or the automatic opening of a ticket. 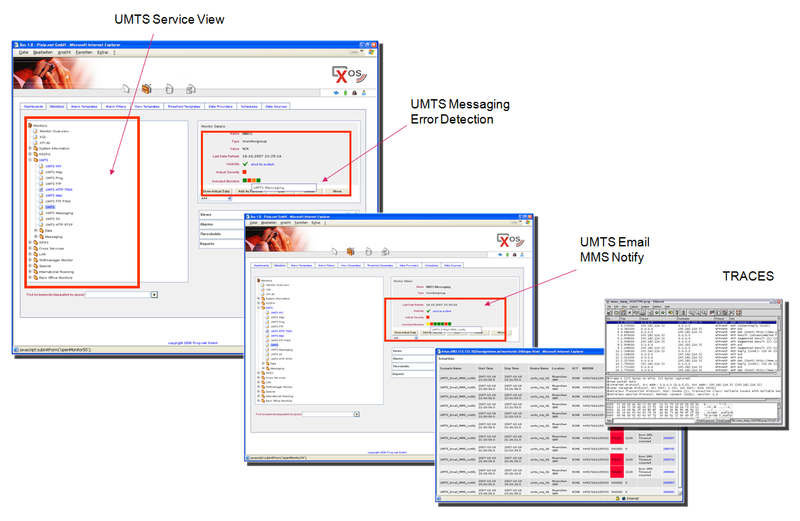 XOS provides various alarming mechanisms like SMS, Email, JMS, Script, SQL, JMX, and SNMP. Ticketing supports a process-oriented approach to deal effectively with problems. An organization support services can track an alarm from its inception, when the ticket is automatically created by XOS, through to its closure, when it's resolved, including all analysis steps in between as the ticket passes from one support group to another. Over a period of time, as the numbers of tickets grow, XOS can be used as a knowledge base in helping resolve defects. Monitors are used for visualizing thresholds. 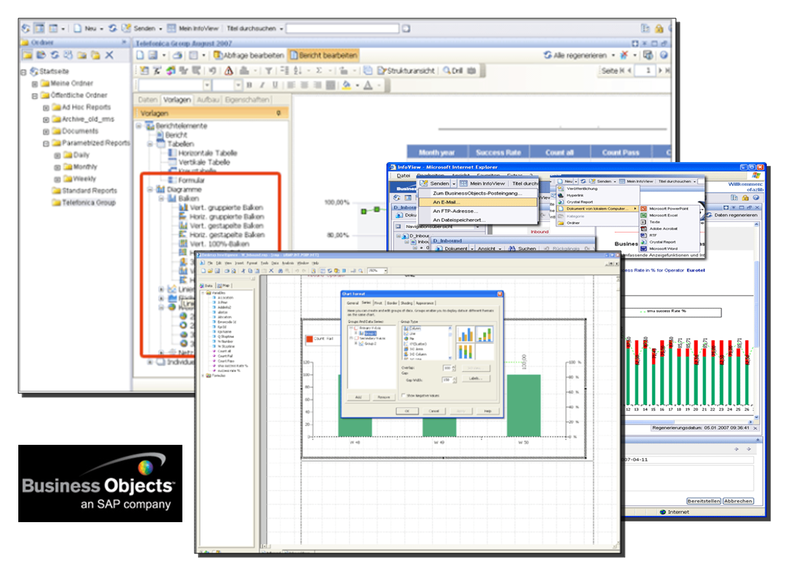 Dashboards are used for visually combining multiple monitors into a single view. For visualizing thresholds, XOS makes use of a set of out of the box views. These standard views can be adapted or extended according to your needs. This process is simplified through the use of the industry standard visualization rendering technology, XSL, which makes it possible to generate any one of many different view types, including images, charts, PDF, HTML to mention just a few. Multiple views can be combined on a page to create a dashboard. 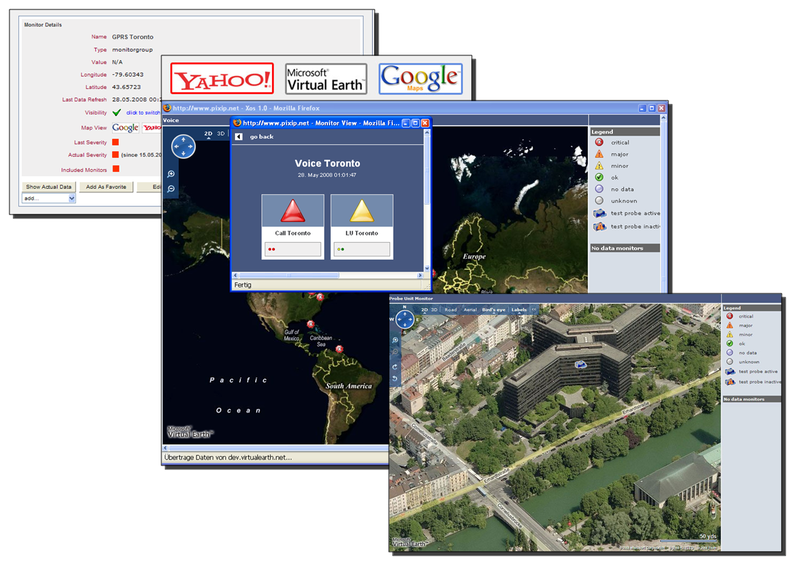 Dashboards allow operators to personalize their views, based on their own individual interests. Monitoring Component shows the actual state and helps to solve detected errors. 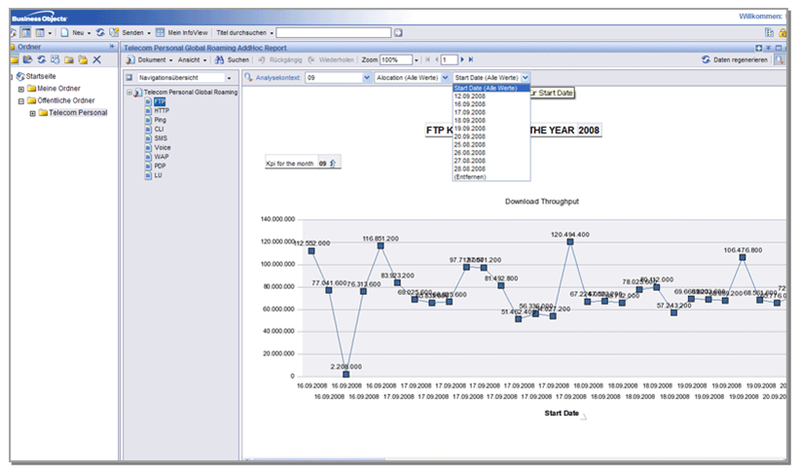 For long term analysis, XOS provides Reporting Component. A number of customer complaints will be reduced significantly due to network issues being identified faster by the PIXIP.NET test system. XOS helps to reduce the time for root cause identification and supports the technical service teams with additional information, such as error-id, trace details & measurement values. This important drill-down functionality from service chain visualization to raw measurement values and trace information improves reaction times in the event of traffic congestion and network element failures. Real-time alerts and reports of incidents lead to faster resolution of the network issues identified.